What do angelic visitations, visions and visitations of Jesus, rain falling from the ceiling, being transported to Heaven, and miraculous healings have in common? I’m so glad you asked. They are all supernatural phenomena; supernatural occurrences. And supernatural occurrences such as these are normal Christian living. You may not believe me at first, especially if you live in the United States or another major, developed country. We in the Western world are too conditioned to live out of our brains, rather than out of our spirits. 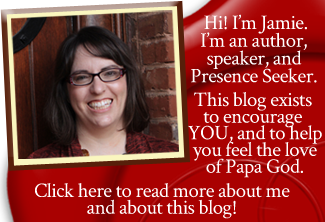 And supernatural occurrences such as these happen when you live out of the spirit world–FROM Heaven TO earth. They do not happen when you live out of your brain all the time. So, unfortunately, if you specialize in logic, you are probably missing out on the supernatural. The Bible is full of stories about normal people being visited by angels, from Genesis to Revelation. These were angels that people could see with their naked eye and talk with. It’s not like they had to have faith to believe the angels were there. The Bible contains a number of stories about people being supernaturally transported from place to place. Elijah, Ezekiel, Jesus, and Philip, at a minimum, were all carried from place to place by the Holy Spirit. Both Paul and John were supernaturally transported to Heaven. Isaiah saw the throne room in Heaven as well. Both the Old and New Testaments contain stories of people being raised from the dead. The New Testament is full of stories of miracles and healings. Peter’s very shadow healed people as he walked by (Acts 5:15). This list could go on and on. The stories of all types of supernatural phenomena, visitations, and other occurrences in the Bible are too numerous to describe here. 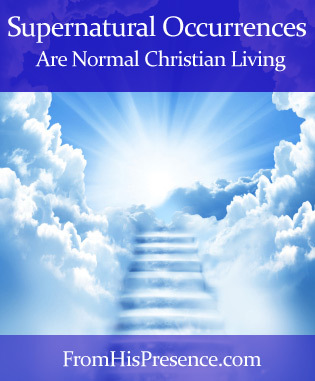 But why do I say these supernatural occurrences are normal Christian living? Because it happened too frequently in the Bible to not consider it normal. If it’s normal in the Bible, which is the handbook for the Christ-centered life, then we know that it truly is normal for the Christian life. Our desire and willingness to receive. The good news is that we can get our heavenly perspective and our desire for the supernatural back. It’s a matter of thinking. We have to understand that we truly are seated in heavenly places in Christ Jesus (Ephesians 2:6), and that we are citizens of Heaven (Philippians 3:20). We have to start living from heaven to earth, so that our lives will reflect “on earth as it is in Heaven.” We also have to start asking God for His help to live in the supernatural. A number of years ago, I cried out to God to let me see angels and everything else He has for me to see. After that, I began to see angels in dreams, and I saw Jesus in a dream once. It was incredible. Then, unfortunately, my fervor cooled, and I stopped asking… and stopped dreaming of these things. But I’m going back. I’ve been asking Him again to let me see in the supernatural. I want everything He’s got. I have to be careful not to ask for it for its own sake, because then the supernatural would become an idol to me. But I do want everything God has. I want to totally live in His realm. I want to live every day of my life out of the third Heaven, and impart that experience to my surroundings on earth. I know He will honor that prayer, because supernatural occurrences are normal Christian living. This is how He meant it to be. How about you? Do you want to live and walk in the supernatural every day? It starts by changing your perspective. Learn to live from Heaven to earth. Become aware of His manifest Presence with you constantly. Ask Him to help you live in His world–not for its own sake, but because that is His highest will for you. as you will need to confirm your email address when you sign up. Thanks! Thank you four insight such a wonderful teaching.It will help me in my quest to know God more.